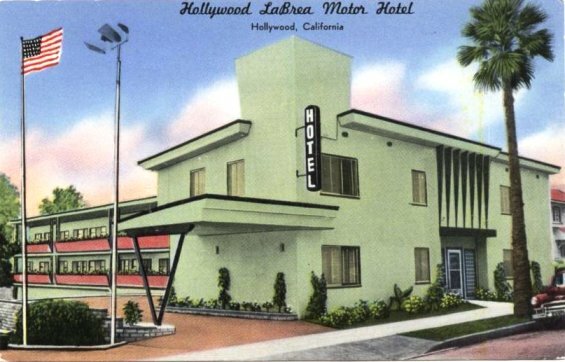 This entry was posted on Sunday, November 4th, 2012 at 11:00 am and is filed under Book/Film News, Hollywood: Then & Now. You can follow any responses to this entry through the RSS 2.0 feed. You can skip to the end and leave a response. Pinging is currently not allowed. Postcards from the eras of long ago have always been of great interest to me. So thanks for the treat, Allan! 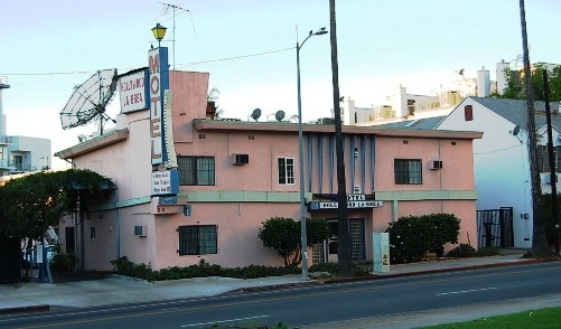 It lost some of its clean-cut cool morphing from hotel to motel, but it’s still with us and is more or less recognizable. And THAT is always something to celebrate. Thank you for sharing the little hotel that kinda could.